Heard that one before? Personally, I couldn’t agree more. It’s hard to believe that nearly a year has gone by since I arrived in Colombia. Now down to my last two months in this incredible country, I’ve finished with work and am off on my travels. And what better way to begin than heading into the desert? 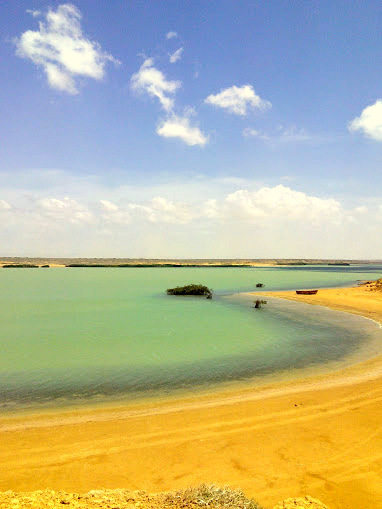 Part of the Caribbean region of Colombia, La Guajira is one of the countries 32 departments and is home to the Wayuu, the indigenous group who survived the conquest by the Spanish. My friend Ari and I made a trip all the way to the tip of the region in order to reach Punta Gallinas, South America’s most northern point. Along the way, we stopped over in Cabo de la Vela, a small town now popular for its great kitesurfing conditions. Cabo de la Vela is hardly Colombia’s most buzzing touristic spot. Made up of a few guest houses, some local joints to eat and now a kite surfing school, this tiny town is a beautiful, tranquil spot unlike anywhere else I have ever visited. We stayed two nights here and enjoyed it’s unspoiled beaches and beautiful viewpoints. 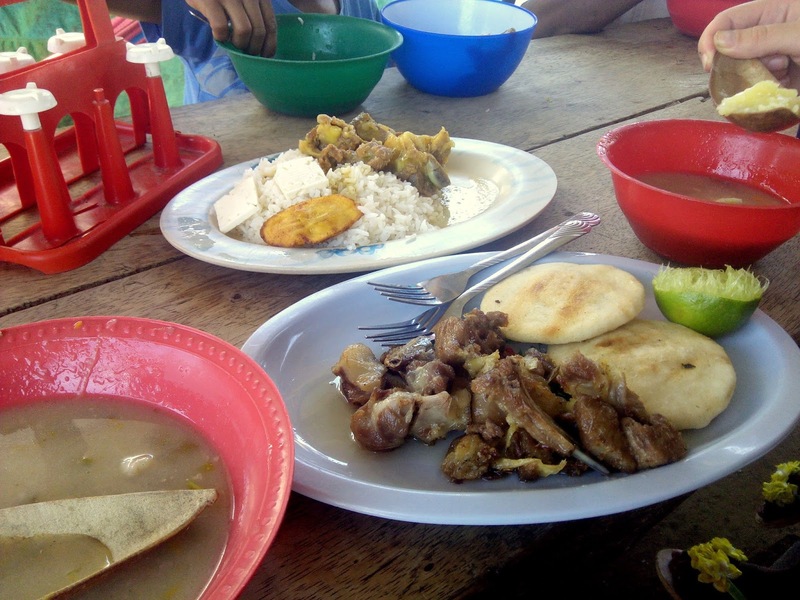 The local food was very similar to the regular Colombian fare, except that around La Guajira you’re more likely to be offered chivo (goat) than your usual chicken or beef. Goat here is most typically served in the dish friche. Having done my culinary homework beforehand, I had read that friche was goat stewed in its own guts and blood – something right up this offal-lovers street. However, after sampling the dish and chatting with locals about its preparation, it turns out that more often than not the blood and organs are left out, leaving this as just goat meat fried in oil and salt. I am a big fan of goat meat, as it has a lovely rich flavor, but served just like this I felt that perhaps it needed a touch of something else. Maybe I was just gutted about the lack of guts? 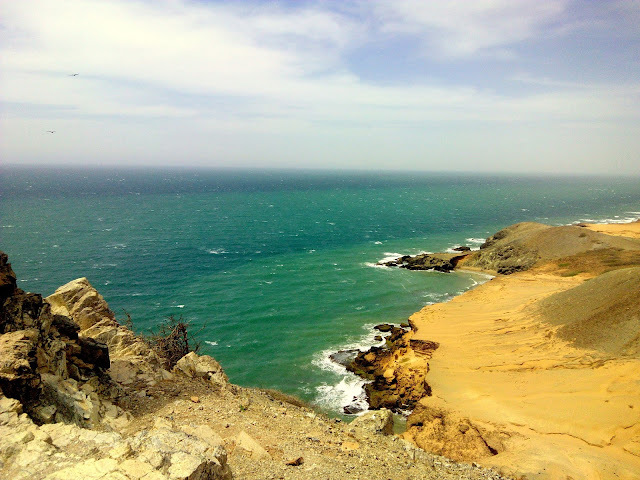 After two nights in Cabo de la Vela we headed onwards to reach Punta Gallinas. Not a smooth journey, we shoved ourselves into the back of a Jeep and clung on for dear life as we shot across the desert to reach our final destination. We gained some souvenirs from the journey in the form of bruised bottoms but it was all worth it in the end, as Colombia’s most northern point awaited us…and us alone! This beach above stretched as far as the eye could see, and unbelievably, we were the only people on it! I’ve seen many a beautiful beach in the past year, but more often than not I’m sharing it with a fair few other foreigners, and if not, some keen Colombian holiday-makers. This perfectly unspoiled landscape was truly breathtaking and the peace and quite around it was just incredible. After a day spent bathing in the beauty of Punta Gallinas, we indulged ourselves for dinner, dining on some freshly caught lobster, served again with rice, patacones and salad. 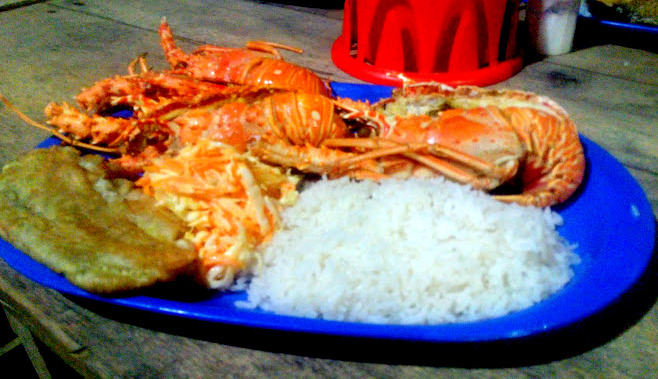 Lobster in La Guajira is sold at market price, meaning it is actually an affordable indulgence. Great news for seafood loving travelers like myself. 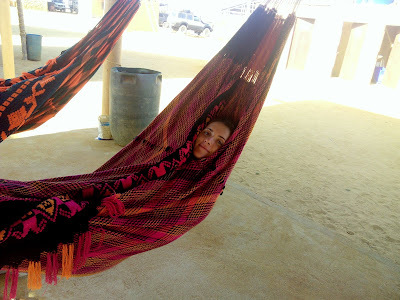 Waking up after a blissful nights sleep in one of these amazing chinchorros (traditional wayuu hammocks, with sewn on blankets), it was time to hit the very, very long road back to civilization. We would be returning through Uribia, the indigenous capital of Colombia, just in time for the festival of indigenous culture. 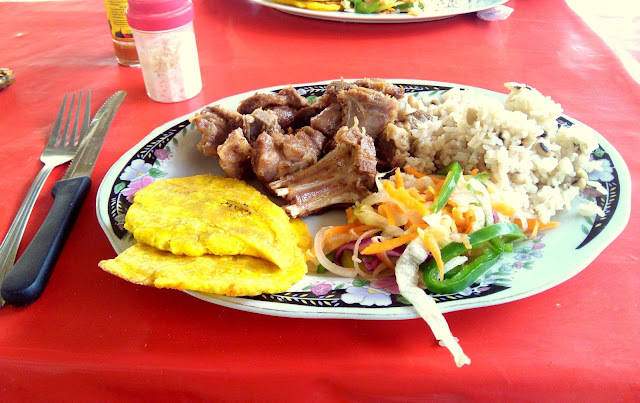 And what better way to get stuck into a different culture than through a plate of food? Top plate is chivo guisado, with friche below, both served with goat soup. A whole lot of goat! Queue more friche, this time served with arepas, and another goat dish – chivo guisado (stewed goat), served with rice, costeño cheese, and a sweet plantain slice. I much preferred the chivo guisado, as I think adding in more flavors brings out the taste of the meat far better. Both these dishes came accompanied by a tasty soup, made from the neck and spine of goat. I did mention they eat a lot of goat here right? 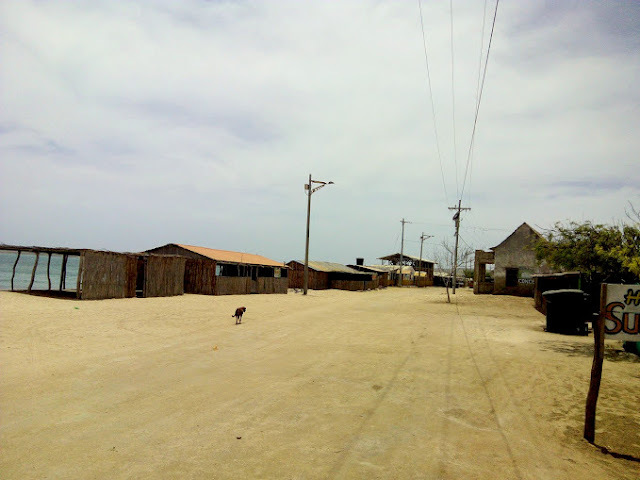 My trip to La Guajira was different to any other journey I have done in Latin America so far. The preserved indigenous culture of the Wayuu and vast, stretching desert make this a must-see spot for anyone travelling around Colombia. My future travel plans include sampling the country’s best coffee in the Eje Cafetero, eating some exotic jungle fruits and fish in Leticia, as well as visiting the UNESCO recognized gastronomical heritage city of Popayan. I’ll stay peckish and keep posting my culinary conquests through Colombia, so stay tuned!